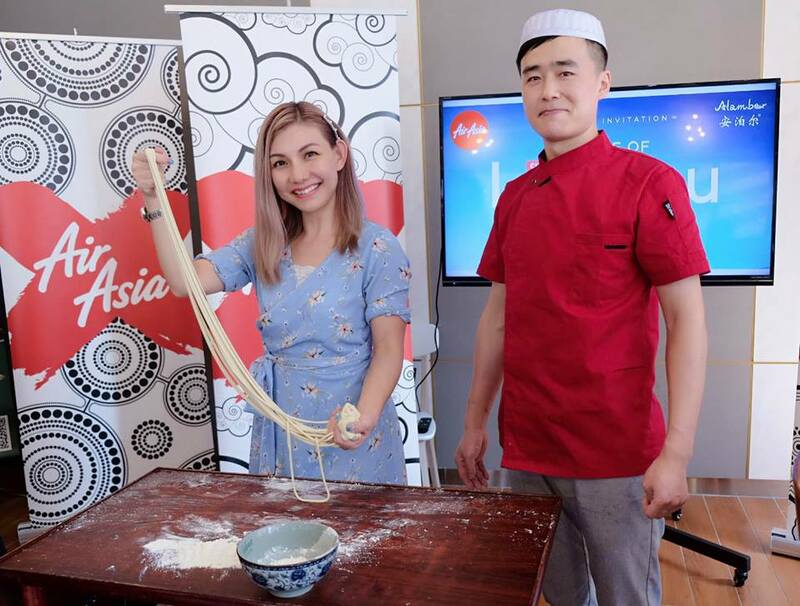 From left to right : Head of Group Communications AirAsia X, Vanessa Regan and Al Amber Chinese Muslim Restaurant Managing Director (Regional), Cui Wei @ Haji Ismail witnessed the Lamian demonstration by Lanzhou native Chef Mayunus. AirAsia launches direct flight to Lanzhou, China from Kuala Lumpur effective from 1 May 2019. In line with this, AirAsia and Al Amber Chinese Muslim Restaurant hosted members of the media to an authentic mouthwatering gastronomic experience unique to the region. 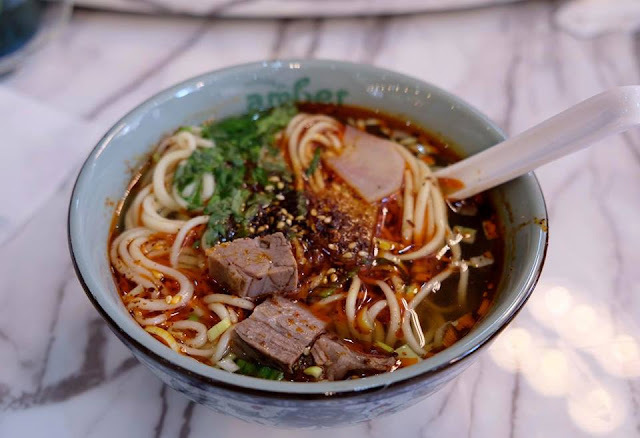 Lanzhou hand-pulled noodles, or lamian, as well as many other local favourite dishes, were prepared by the restaurant’s Lanzhou native chefs to help promote the many key tourism draw-cards offered in the capital city of Gansu province, China. Our sumptous spread includes Special Chinese Roasted Bun loaded with veggies, sesame mochi ball(red bean), aromatic Toothpick Lamb, crispy and tender Deep Fried Chicken with Chili, Braised Fish in Brown Sauce, Sizzling Tofu, perfectly crispy Griddle Cooked Potatoes Slice, flavour packed Sauteed Green Bean with Eggplant and Fried Shredded Cabbage. All the dishes were absolutely divine! Al Amber is a restaurant chain with 30 outlets across China, including 15 in Gansu province. 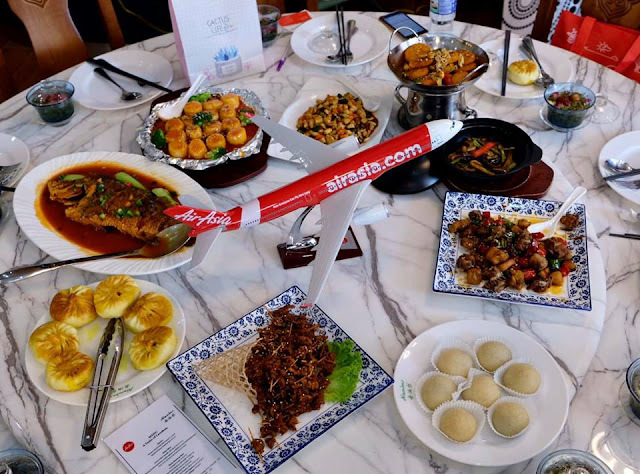 Malaysia is the first international location with three outlets located in Pavilion Kuala Lumpur, Nexus Bangsar South and 1 Utama Shopping Centre. Freshly made hand pulled noodles with tender chunks of beef in a flavoursome broth, simply delish! Thank you so much, AirAsia for this wonderful taste of Lanzhou. I can't wait to visit Lanzhou to try more food and explore the attractions. Time to plan for my next vacation? All-inclusive member fares from as low as RM249* for standard seats and RM889* for the award-winning Premium Flatbed for one-way travel. Guests can also book hotels in Lanzhou for as low as RM119 per night, and enjoy an extra 5% off using the promo code HOTEL5. 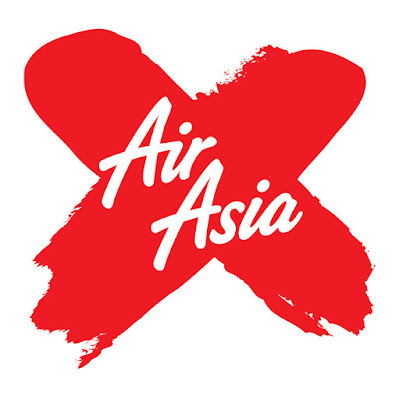 To book, log-in to airasia.com or the AirAsia mobile app from now until 21 April 2019 and travel between 1 May 2019 and 26 October 2019.